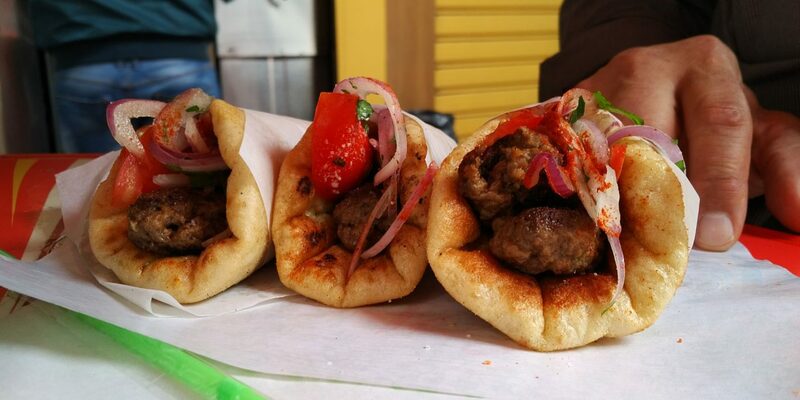 What’s your favorite souvlaki in Athens? 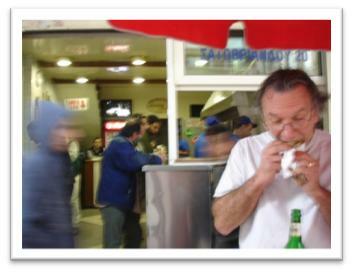 Stop a hundred Athenians on any street corner and ask them for their favorite souvlaki stand, and the chances are you will get a hundred different responses. As a child growing up in Athens, Basil’s family’s favorite was a little stand a block off of Omonia Square. 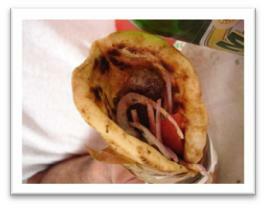 O Lefteris’ “souvlaki special” is now being served by a third generation, having survived in the same spot since 1951. My mother in law says that while most women craved pickles and ice cream during their pregnancy, she craved Lefteris’, and perhaps that explains my husband’s obsession. No matter, fortunately for Basil, I too adore these tasty little snacks, particularly when I order them without salt and with extra “kokkino pipperi” (spicy Aleppo pepper) which gives these already tasty homemade souvlakia a touch of politiki cuisine (the Eastern flavors the Greeks from Asia Minor brought back when they returned). Yes, they are a tad bit greasy, and way unhealthy, but you are on holiday! I, on the other hand, have to be careful, if Basil had his way we’d be there on a daily basis. To find this totally hidden and off the beaten path souvlaki stand, stand in Omonia Square and look for the tall building with the pink Hondos Center sign. Walk towards it, and continue behind it from either side (there is a little pedestrian path on the left side of the building when you are facing it. You’ll come out on the other side at Satobriande (think Chateaubriande) street, cross the street and turn left. O Lefteris is in the middle of the block on your right. Don’t be fooled by the more modern looking fast food joint next door. That is one of the original Lefteris’ grandsons, trying to lure away Athenians by serving up healthy things like grilled chicken sandwiches! NextA hike up Lykavittos, Scruffy takes on Athens Chic Peak! Thanasis! Plaka. Best souvlaki ever! Also good is Ambrosia near the Sigrou Fix metro stop.